The Ritz-Carlton, Laguna Niguel embraced the holiday season with its 8th Annual Surfing Santa and Stand Up Paddle Board Competition at Salt Creek Beach. The event was held on Saturday and Sunday, Nov. 17-18, ahead of 11th Annual Holiday Surfboard Auction that is now live until Dec. 31. “Our inspiration (for the event) began with the locally based charity Surfers Healing and finding a way to make an impactful difference in the lives of children with autism and our community,” says Bruce Brainerd, General Manager of The Ritz-Carlton, Laguna Niguel. Both seasonal events fully benefit Surfers Healing, a non-profit whose mission is to provide children with autism the gift of surfing. The contest featured 11 divisions, inclusive of surf and stand up paddle board and available for both children and adult contestants. Each heat offered prizes for first- through sixth-place winners, and all participants were eligible for a $1,500 Big Air prize, as well as prizes for best costume and fastest stand up paddle board. 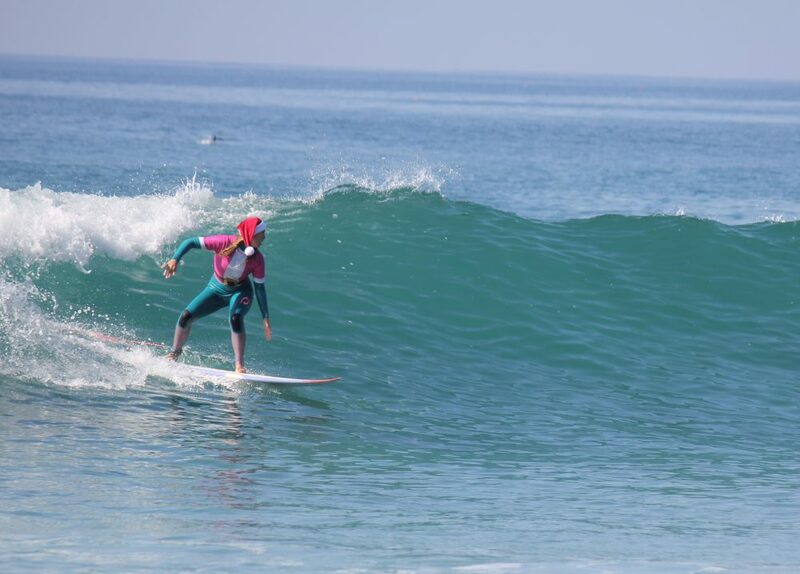 This year, there were more than 90 contestants for longboard, short board and SUP events. First-prize winners were Callen Emery for guys 17-and-under, short board; Kolton Sullivan for guys 17-and-over, short board; Ben Kappes for longboard; Kayla Coscino for girls, short board; Conrad Rojas for SUP, 17 –and-under; Daniel Hughes for Men’s SUP, 17-and-older; and Mel Wygal for women’s SUP. For a full list of contestant rankings, visit www.danapointtimes.com. The 11th Annual Holiday Surfboard Auction is live until Dec. 31, and selection of hand-painted surfboards from various artists are displayed at the resort and auctioned off. Surfboards are on display in the lobby at the oceanfront property throughout the holiday season, and bids can be placed online at www.biddingforgood.com.